What Makes Destination Family Friendly? 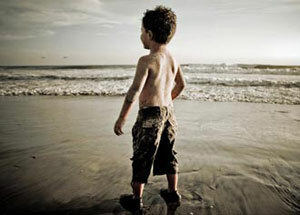 What are the deciding factors when choosing your family travel destinations? Is it the activities available for your children? Is it about them being able to make new friends? Will they be safe? Will you be able to find childcare if needed? When travelling with your family you will be looking for family friendly holidays. But what makes travel destination family friendly? Is it the sights or the activities on offer? Or making new friends in safe environment? Is an all-inclusive family holiday the answer? Or do you want to organize your dream family holiday on your own, what do you then need to have in mind? In this article, we at Top Travel Tips will assist you with all your questions relating to good family travel destinations and help you with good family travel ideas. All good family travel destinations offer wide range of activities and entertainment for children of all ages. Always research what activities and entertainments are on offer for your children's age groups prior to booking any family holiday. As well as their age, take their interests and ability into consideration when choosing family travel destinations. Children have different interest but you should be able to find something that interests your child almost anywhere in the world. Most kids love physical activities and this should be easy to arrange for all age groups. Access to swimming pool or beach, sport fields, play areas and public parks are all great places for children of all ages to let of some steam. Others might love to undertake some more specialized physical activities, like skiing or hiking. There is also lot of organized activities available for kids of all ages, like rock climbing, horseback riding, kayaking, etc. Theme Parks can also be an excellent option for some families. Some children like less vigorous activities - you might want to look for sightseeing's, museums or theatres aimed at your children's age group. Visit to the zoo or family farm might also be excellent option for some children. Most children are sociable and love to make new friends. You should always consider what opportunity your child has to meet other children when choosing family travel destinations. 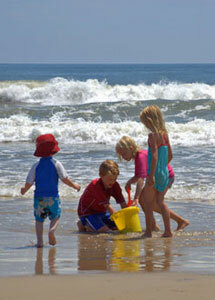 Families often travel with other families which gives the children great opportunity to play with other children. The same applies if you invite a friend of your child to join you on your vacation. They will still enjoy meeting other children and make new friends. Staying in a family friendly resort with kids club and common play area can therefore be an excellent option for many families. Those that prefer to travel independently or off the beaten track should still look into ways for their children to meet other children. Luckily, that is not that difficult. Children universally tend to love playing with other kids. They usually don't let minor details like language problems get in their way. Depending on the age of your child or children and the group of people you are travelling with - you might want to have access to a quality childcare at your travel destination. All good family travel destinations offer some form of childcare options. Access to childcare is though not enough; you need to make sure it fulfills your quality criteria as well. 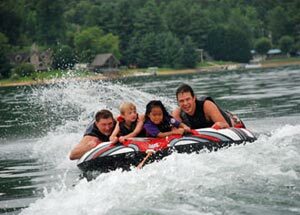 Most family travel destinations operate kid clubs that offer all kinds of activities for kids during the day. This can be excellent childcare option as well as giving your child the opportunity to play with other children and make new friends. These resorts often offer evening babysitting as well. Arranging childcare might be more difficult when travelling independently. You might meet other travelers that are willing to take turns babysitting. Family travel tips recommend being extremely careful when leaving your children with people you don't know very well. The number one priority when choosing family friendly travel destination is though safety. It is good to keep the following travel safety tips in mind when choosing your family travel destinations. You need to make sure that your destination is safe to travel to. As part of our family travel tips, we recommend you check our International Travel Advisory article. It explains what to check concerning travel safety and best places to find the information. You need to make sure your travel mode is as safe as possible, whether you travel by car, plane or by any other means. If you are using your own car make sure it's been adequately maintained and contains all the necessary safety equipments, like spare wheels, emergency triangle, first aid kit, etc. If renting a car, choose reputable rental company. Same applies if you travel by air, choose reputable airline and check their safety record. Make sure your travel destination is as safe as possible for children and that it is appropriate for your children's age group. With young children you need to childproof everything, your accommodation, the play area, when taking them outside of the resort, etc. You should be prepared for possible health problems that can occur, for example due to different diet or climate. Top Travel Tips travel health advice is full of useful information on How To Stay Healthy When Travelling. Saying all this - we at Top Travel Tips strongly believe it is important to keep things in perspective. Being worried all the time could easily spoil the vacation. Not only for you, for your family as well. Safety should always be your top priority when travelling BUT luckily most of us travel safely and experience no, or minor, problems during our travels. The better prepared you are and by keeping these family travel tips in mind... the more likely you are to have a safe and enjoyable holiday with your family. It is however, you and your family that make your family vacation successful. While family friendly travel destinations are always good idea, any travel destination can be family friendly with the right planning and preparation. For example, Family Adventure Travel, where parents take their children off the beaten track and introduce them to the spirit of adventures, are getting increasingly popular. Most parents find that travelling with their children off the beaten track is easier than they had anticipated.